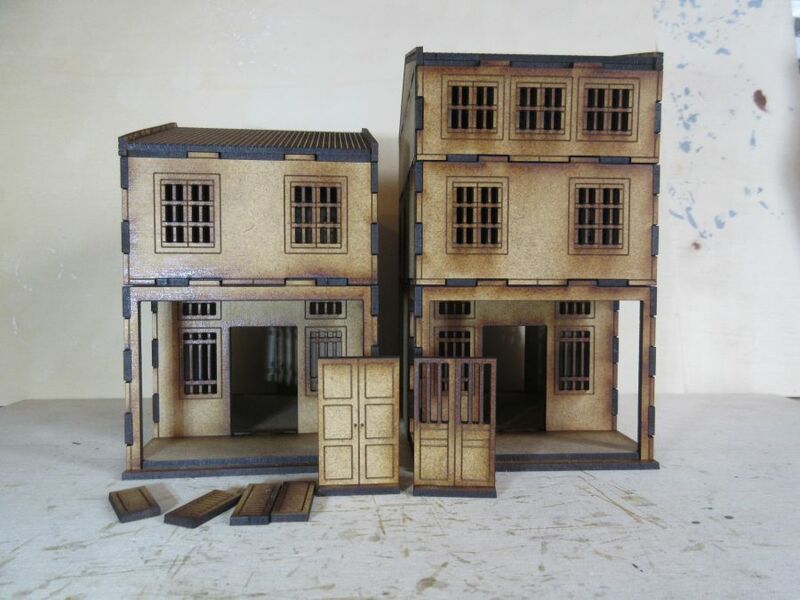 This is a multi-pack of our Asian Shop Houses containing the variant 1, variant 2 and variant 3 sets all at 28mm scale. 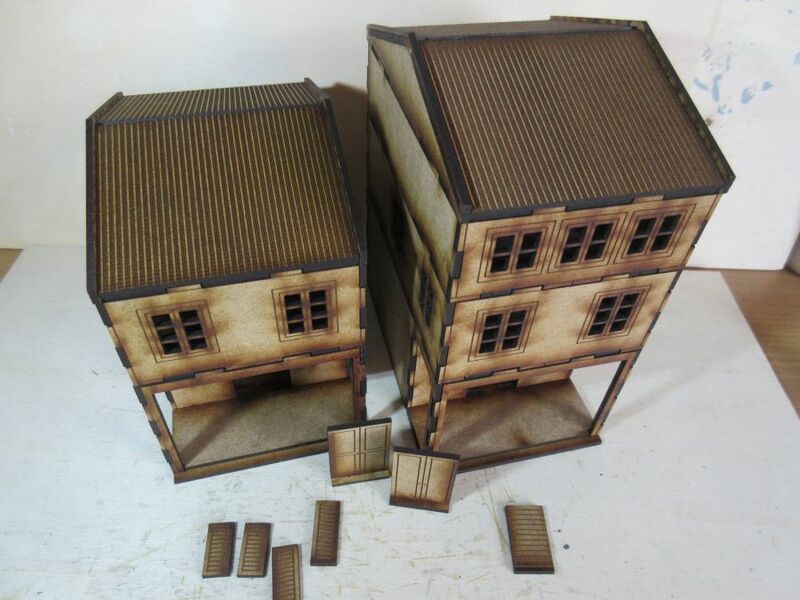 Each of the three variant sets consists of 2 ground floors (6cm high), 2 2nd floors (4 cm high), 1 3rd floor (3cm high) and 2 roofs (2.6cm high). 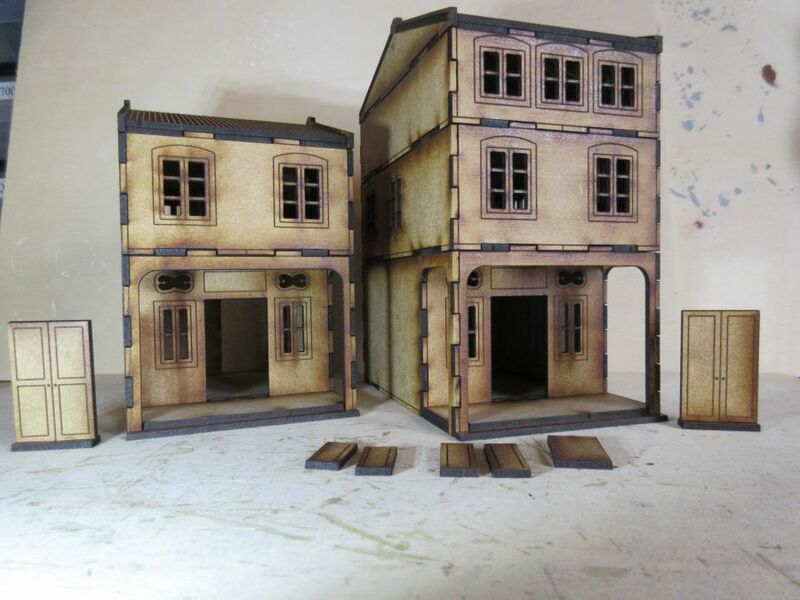 There are also seperate doors with stands and numerous shutters that can be glued on where needed. 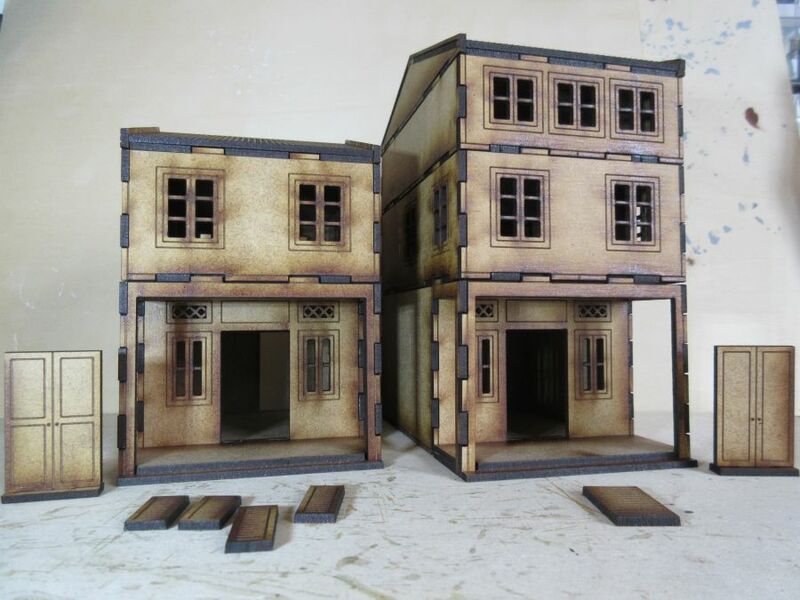 The foot print of each building is 8cm x12cm. 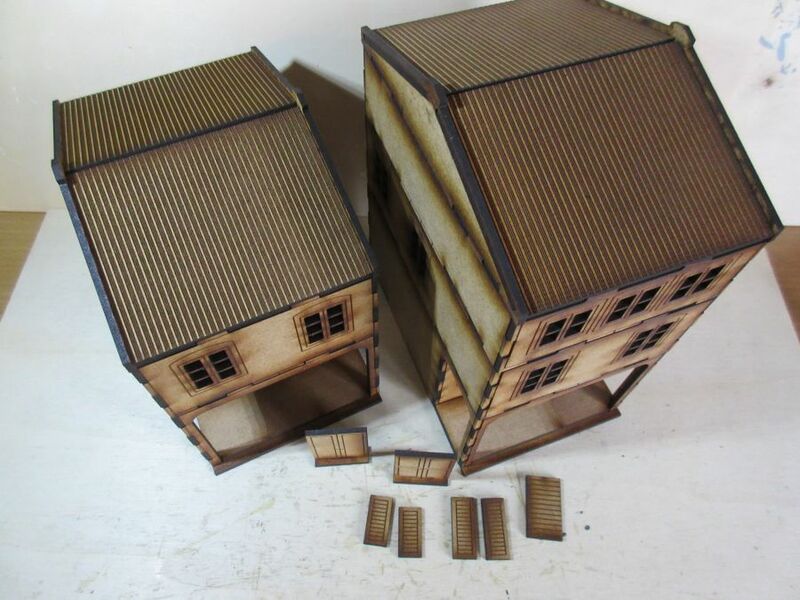 Once glued together each floor slots easily onto the other floors enabling different heights of buildings to be made as required and well as enabling miniatures to be easily placed inside the buildings during use.